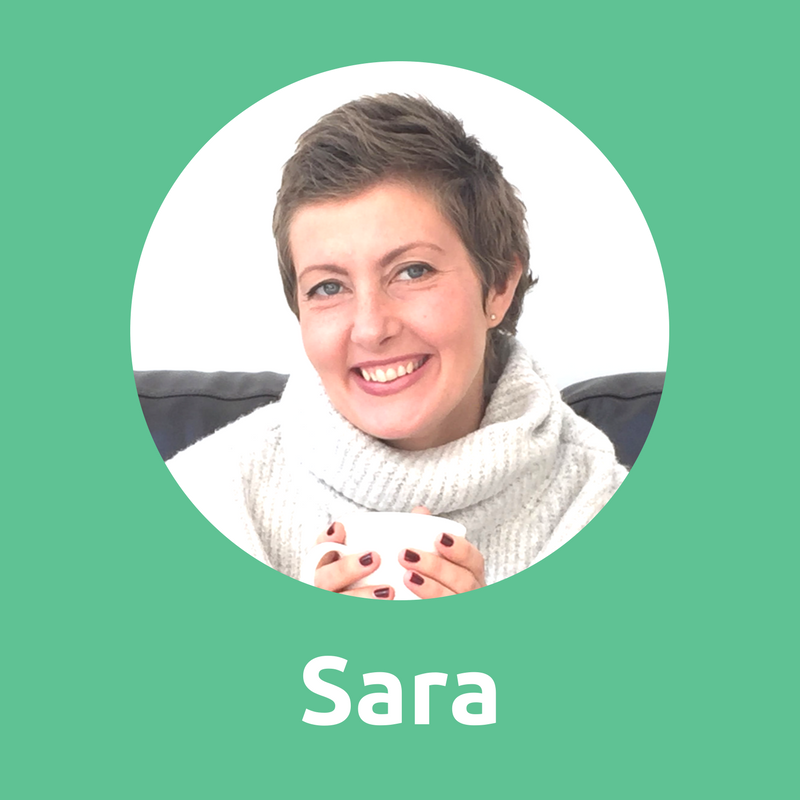 What does ‘life after cancer’ mean for me? I thought writing about it would be easy –I’d share how finishing breast cancer treatment has led me back to a wonderfully full and satisfying life. I’d be picking up where I left off, enjoying and savouring every minute of my second chance whilst embarking on some new projects with the vigour of someone who has confronted their own mortality square in the face. But I can’t write about that because that is not what is happening nor what has happened. To start with, I am not sure when ‘life after cancer’ begins. I was diagnosed with breast cancer a year and a half ago, swiftly underwent surgery, followed by six months of chemotherapy and then radiotherapy. I have had a clear mammogram and the ‘we’ve taken the cancer out of you and can’t see any more in you’ talk from the oncologist, but I’m still undergoing the herceptin mopping-up treatment and I have to take a daily tamoxifen tablet for 5 to 10 years. So, when does ‘life after cancer’ begin for me? Part of me thinks that I am not there yet. The combination of ongoing treatment and feeling generally rubbish quite a lot of the time reminds me that I am not quite over the worst. However, there is a little voice in my head telling me that it has started already: that it began the day radiotherapy ended because that marked the end of the ‘big-ticket’ treatment and from that day forward I have been able to start to recover both physically and emotionally. I don’t even know what to expect from life after cancer. What will it be like? Will I be the same person as before? Or will I be different? All the way through surgery, chemotherapy and radiotherapy I thought that I would return to normal: to the same person that I was before cancer came to stay. 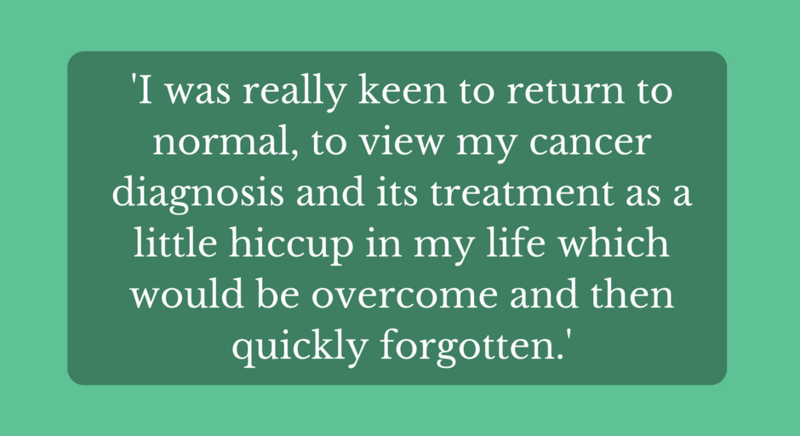 In fact, I was really keen to return to normal, to view my cancer diagnosis and its treatment as a little hiccup in my life which would be overcome and then quickly forgotten. I naively thought that I would finish treatment, get the all-clear, spend a little time recovering and then quickly step back into my pre-breast cancer life. Just pick up where I left off. But that isn’t the case. I have forgotten what pre-breast cancer ‘normal’ is. That flew out the window on the day I received my diagnosis. So much has changed since then that it seems impossible to go back. I have changed physically… unpleasant chemo side effects still linger around. I look different to pre-breast cancer me when I look in the mirror and see my new very short hairstyle. I am tired a lot of the time. I have every single menopausal symptom going. I have to take life at a slower pace and I feel physically older and more fragile. I have changed mentally… I am still suffering from chemo-brain-absentmindedness. I can’t multi-task like I used to. I get overwhelmed easily and I am really rather forgetful. I have changed emotionally… I am no longer a level-headed person but one whose moods swing up and down like a yoyo. My anxiety levels are often pretty high. I am fearful about the possibility of recurrence and the spread of cancer. I often feel unable to cope. Add to this the expectation on the part of friends and family that it is just a matter of time before I am normal again. People don’t realise the pressure this view puts upon cancer patients. I am certainly not in a place that I would like to think of as my ‘life after cancer’. So I am currently in the No Man’s Land: an interim period between life with cancer and life after cancer when tumours are gone and you have finished some, perhaps not all, treatment. It is that time when you can’t quite put your finger on where you belong. It is that time when you feel that you want to move forward, but part of you still wants to hold onto cancer treatment as a form of security blanket. It is that time when you are partly excited to move forward with your life, but at the same time you are fearful because you have just spent the past year wondering whether you are going to come out. It is that time when your mind wants to move forward, but your body can’t quite keep up. It is that time when thoughts of survival are far too fresh. You just don’t know how to move forward. same, yet different, person, I am going to quietly remain in this little interim bubble. I am not going to rush this stage, but rather I am going to take it a day at a time. I am going to address the issues that are preventing me from moving on: the physical, mental and emotional issues. I am going to patiently wait whilst my body and mind have time to recover from the onslaught that I have faced for the past eighteen months. 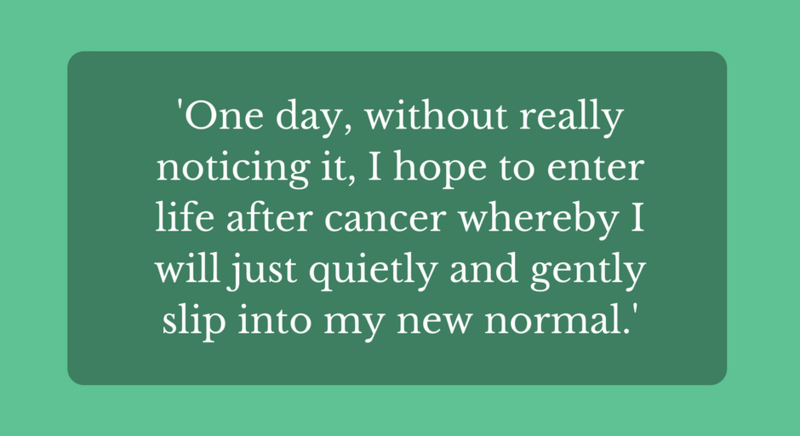 And then one day, without really noticing it, I hope to enter life after cancer whereby I will just quietly and gently slip into my new normal. Towards the end of my treatment I founded Ticking Off Breast Cancer www.tickingoffbreastcancer.com, a website dedicated to helping people through their breast cancer treatment from diagnosis to living life to the full once treatment ends. I decided to set up the website to help support those who do not know which way to turn for help after receiving a breast cancer diagnosis; those who are overwhelmed by the online support for breast cancer; and those who are scared to go online for fear of what they might find. The website provides practical advice for each step of the way, together with many links and signposts to other online resources. And whilst helping others has always been my primary goal with this website, I have actually found that putting it together and keeping it up to date has helped me enormously in terms of moving forward. This is exactly how I feel! My treatment path is taking the same route. I have four more Herceptin treatments to go & to the outside world of friends & family i’ll soon be back to “normal”. But lying awake at night with insomnia it’s very hard to image a time when I will feel completely free , if ever . I know how you feel, I didn't need herceptin, thankfully, but at 39 I moved straight into full blown menopause! With no option of treatment! 8 years on I am getting there - I honestly don't know what is normal getting older symptoms or what is cancer related. It's probably the best way - as I even forget most of the time I had it - yes that is possible and for me the best way. Breast Cancer was the lowest point in my rollercoaster of a life, but I have had lots of high points since, and value them more than I would have! Good to know I’m not alone in this space. Mine is bladder cancer but all of these feelings are where I’m at. Thank you for sharing. The fears, anxieties and questions are exactly what are running thro my head usually about 3 am every night. I was diagnosed with grade 3 triple negative breast cancer in April 218. 2 surgeries 18 eeks of chemo (extented due to a very frightening, potentially life threatening bout of sespis after first chemo session) 4 weeks of daily radiotherapy. A sense of abandonment as no longer under any particular care. Have yet to see the oncologist for the all clear as treatment only finished 14th Jan 2019..I feel happy it's all over but apprehensive about the future. So fatigued its frustrating. Yes everyone expects you to be ecstatic and back to your pre diagnosis self. The incidence of recurrence in triple negative breast cancer is higher especially in the first 2/3 years. So am exercising everyday as they say this can reduce recurrence taking a particular biphosphonate (Ibandronic acid daily with bit d&calcium tabs twice a day and because of those am taking omerazole for the stomach all these meds for next 3 to 5 years (as there has been some research that the ibandronic acid can reduce the chance of recurrence). Am eating as healthily as I can but still have nausea and horrendous peripheral neuropathy in hands and feet and the loss of nails makes daily tasks awkward. The aches and pains in joints and muscles from the docetaxel(chemo) was unbelievable ad whilst improving 3 months on still causes pain. I Am looking forward to a new life after cancer as I don't think anything will ever be the same as before cancer.. I was diagnosed with HER2 breast cancer in 2017, finished chemo in April 2018, had a mastectomy in June 2018, finished radiotherapy in August 2018, had my 1st year mammogram in October 2017 which was clear, I’ve never been told I’m in remission by my oncologist, how do you know whether you are in remission or not.